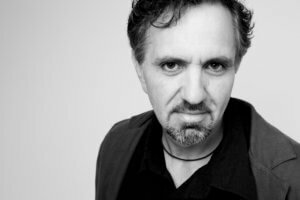 I recently had the chance to interview award winning composer/performer, Joe Chindamo. Joe has written a new piece for me called Galactic Dances which I will be performing on tour including the Melbourne Recital Centre on Oct 31st, 6pm. The work was premiered on May 28th at the Art Gallery of NSW. Read all about it below- Enjoy. Cheers, Nick. 1) It is probably not every day you get asked to compose a work for vibes and piano. What’s been your experience of the vibraphone? 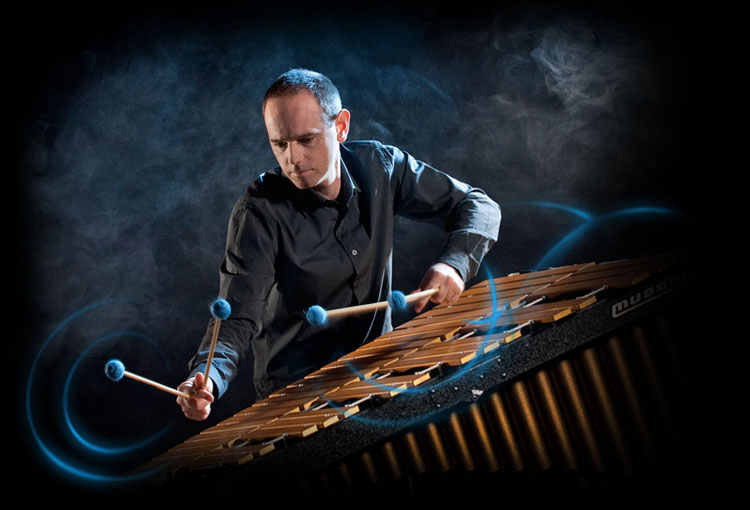 Have you played with vibes much or do you enjoy particular players of the instrument? I don’t think I have played with a vibes player other than in an orchestral setting. I have been a huge fan of Gary Burton’s for decades. I believe him to be one of the greatest improvisers on any instrument, and as such, my awareness of the instrument’s capabilities is largely due to his work. 2) You have a tremendous reputation as a pianist, how did your interest in composition evolve? I have always been interested in composition and orchestration. My work in jazz could be described as composition in real time. Meeting violinist Zoe Black eight years ago and embarking on a musical as well as personal relationship, essentially drew me away from jazz and closer to composition in a more comprehensive sense. I began writing for the violin, then string quartet, chamber group, string orchestra and lately for full Symphony Orchestra. But in the end, as ambitious as one might be, what one becomes is largely due to the acceptance of those personal ambitions and desires by the outer world. People liked what I created and in a relatively short time, I’ve received some very significant commissions, which provides encouraging signs that this is what I should be dedicating the rest of my days to. And I sense that I am a far better composer than I am a pianist, with a more distinctive voice. I have always been a composer, the piano probably distracted me, in a way. 3) What’s your creative process when composing a new work? It varies. If I get a burst of inspiration, I will launch straight in. Mostly, I let the idea for the piece and the instruments for which I need to write ferment, and I become an antenna. Ideas present themselves because I am looking for them at a subconscious and conscious level. Getting into a role is really important, much as an actor does. I try to feel the character, the mood of the music and what I’m trying to portray, with my whole body. It’s not just an intellectual process for me. If I am writing a neo baroque piece, I become that piece and feel that aesthetic with every fibre of my body. Of course, although I rely on mathematics a great deal when I need to, (I majored in mathematics at university) I am fairly instinctive – very much the Dionysian. 4) How do you come up with unique musical ideas? Sometimes I will combine two distinctive and seemingly unrelated ideas. If I asked you to come up with a sentence using “vacuum cleaner” and “telescope”, it does open up the imagination to new possibilities. Creativity also comes from restricting one’s resources. If you asked a painter to restrict his or her usage of colours to red green and purple, he or she is forced into lateral thinking. Other than this, I don’t really know on a conscious level. 5) The combination of vibes and piano has become a popular format through arrangements (and performances) by the likes of Gary Burton and Chick Corea. How have you approached writing for this combination of instruments? Honestly, I started writing your piece the day after I heard Herbie Hancock and Chick Corea live. As masterful as they were individually, I did not enjoy the performance because they got each other’s way. It just lacked clarity. I was determined to write for you what I wished I’d heard from them. No matter how complex, music has to be transparent and uncluttered. So in a sense, my point of departure was to go in the opposite direction of something that I’d heard. When writing for a virtuoso performer such as yourself, it gives me great freedom to write in an uninhibited way. So I give free reign to my thoughts. Music is the language of emotion. For me it is the only way I can make sense of the world. Every time I compose a new work I am essentially writing about the human experience, as seen through those instruments relevant to the composition. There is an intimate Impressionism which permeates throughout galactic dances, something otherworldly, hence the title. 7) What can audiences expect when they hear your new piece? That’s really for them to decide.